It’s called career progression, and it’s a trait that great employees are seeking in the job market. 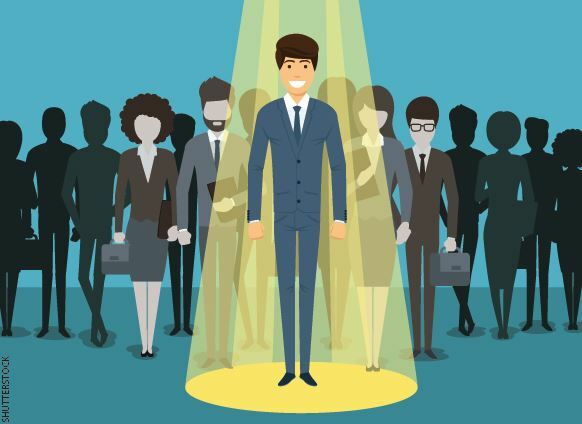 To attract (and keep) the best talent, employers have to pay attention to promoting their talent—before they leave for a company that will. 1. They’re already doing the role. One of the greatest indicators of a successful promotion is if they are already doing the role above theirs, and doing it well. Ask the employee to submit a list of their day-to-day tasks and projects they are currently working on, and compare that list to the job description of the role they are in. Are they doing more? If so, are they doing the extra work well? Are they able to balance and execute well on all tasks, or with the added responsibility, are other things slipping through the cracks? 2. They ask for it. This doesn’t mean simply stating they want a promotion, but take note of how they ask for it. Do they say, “I want to be promoted,” or do they ask what needs to be done now so that they can receive a promotion in the near future? It’s having that thought process of “What do I need to do to get there?” that separates those who are ready for the challenge from those who just want it for the sake of a new title. 3. They have a high level of emotional intelligence. If the employee is great technically at their job, meaning they are skilled in the software or skills necessary to effectively do the role, that’s one thing, but if they have a high level of emotional intelligence, that’s another. Having EI means that the employee is able to connect with various personalities, have empathy for co-workers and clients, and that they are self-aware. People with EI have leadership traits and are also magnets for other high potential talent within a company. Even when their plates are full, if someone asks for their help, they do it with a smile on their face. They understand the end goal is to help the company grow, and they are willing to go above and beyond, breaking down walls, to get stuff done. Also, they are asking for more, because they want to help the company advance. They are the ones asking how they can pitch in and help. Managers should want people like that to grow within the organization. 5. They provide creative solutions. They are bringing new ideas and creative solutions to improve business, constantly trying to think of ways to better processes even if it’s not in their job description. They also are able to explain and quantify the successes of each idea. 6. They’re involved in the culture. Promoting someone means investing in them and their future with the organization. If someone is not only producing but also contributing to the company culture, that means they are invested—and they should be recognized for balancing the two. How can you tell if an employee is unhappy? Watch for 7 warning signs of dissatisfied and disengaged workers.